Minecraft grass block birthday cake for my nephew. Oreo and Teddy Graham crumbs for the sides/"dirt". 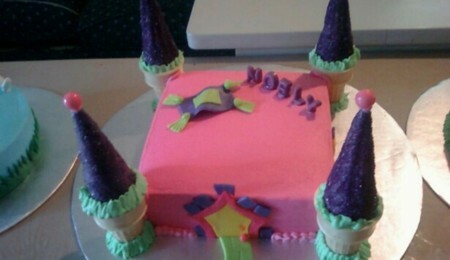 Fondant lettering. Great cake! 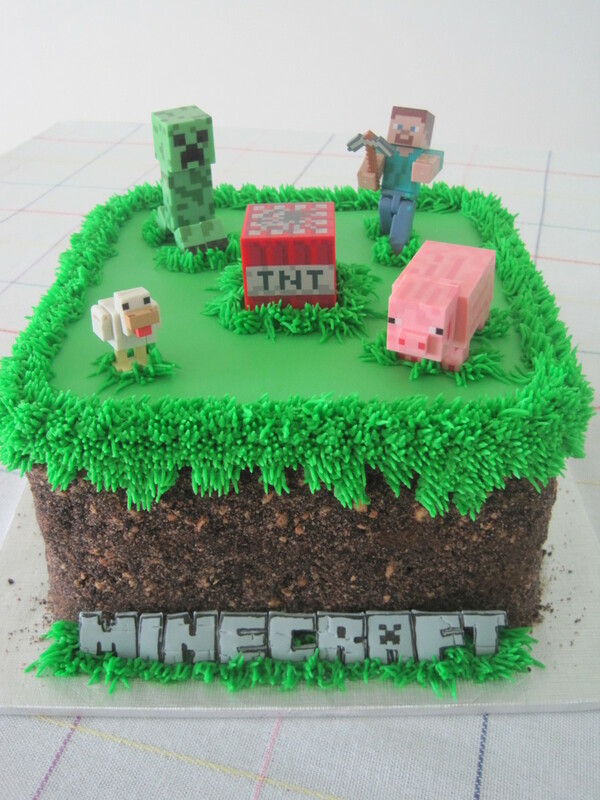 My son wants a cake he can add his minecraft figures to and this is perfect! 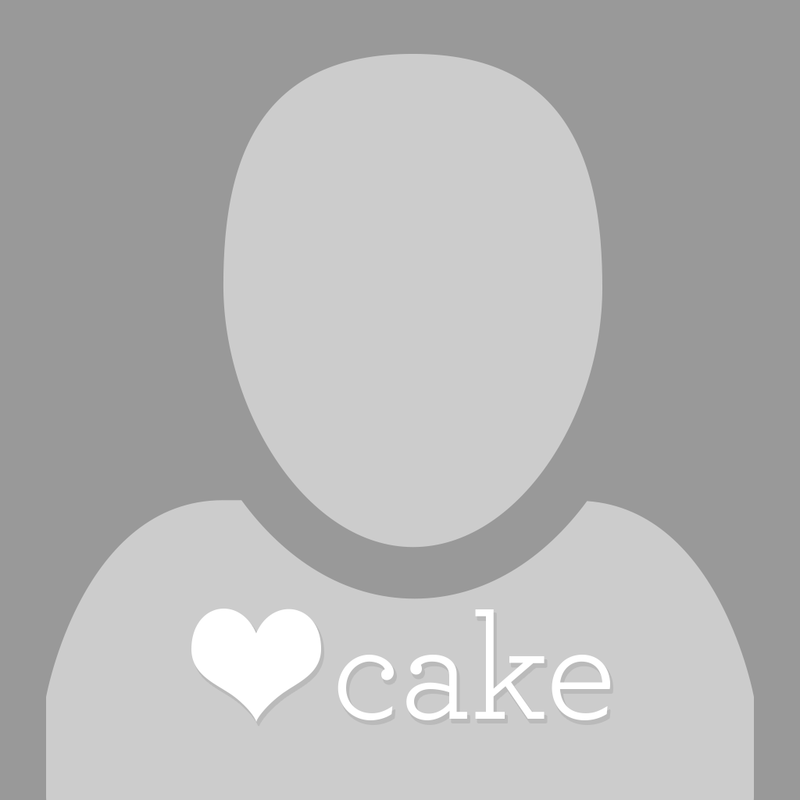 Do you mind me asking how you got the crumbs on the cake? Did you just grab some and start sticking them on, or did you find a certain method worked? And one more thing, how did you do the "Minecraft "?